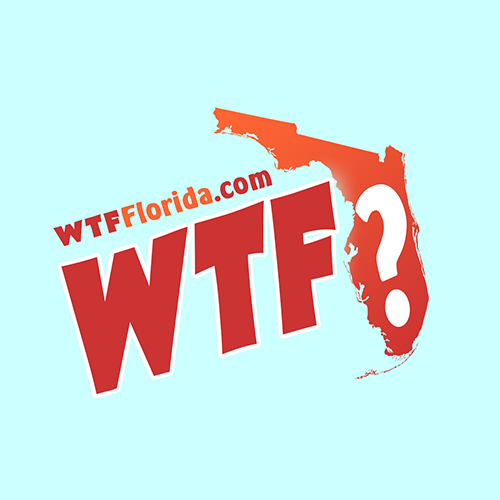 Altoona (WTFF) – A Florida man is facing felony charges after biting a cop for revenge. On Wednesday afternoon around 5:00, Lake County deputies showed up near a Mobil gas station at the intersection of SR19 and CR42. 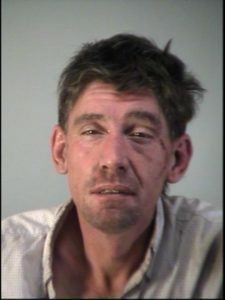 40-year-old Ernie Wayne Wilburn, born in Eustis, was sitting at a picnic table when officers arrived. The cops asked if he was feeling okay. “F*ck you, I’m fine,” he replied. A deputy asked if Wilburn remembered him from last time, when cops were called for a similar incident. “Yea you made me go to the hospital, yall got yours comin,” he replied, according to the report. Wilburn clenched his fists and stood up aggressively. He was asked to sit back down. “F*ck you,” he told the cop. 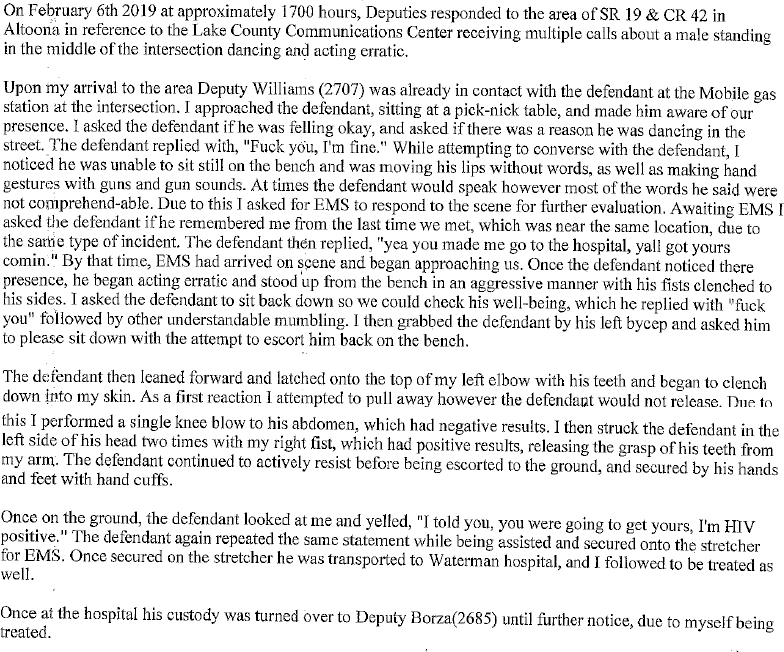 The deputy held his bicep and asked him to please sit down. That’s when Wilburn clenched his teeth into the deputy’s skin. A knee to the abdomen did not take Wilburn down, though two strikes to the head did. Wilburn was arrested and charged with attempted murder of a law enforcement officer and resisting officer with violence. He repeated the same HIV positive statement on the stretcher while under the care of EMS. Both the arrestee and the officer were treated at Waterman Hospital.